“My God! Look At It!” “The Tip Is Purple! !” LOL... NB. Please send all kids to their room or away from the computers! 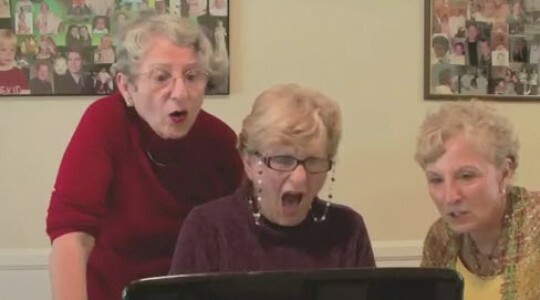 OMG ... i almost pissed on my﻿ self to see these old chicks reactions, and it looks like they want some young stuff lol!